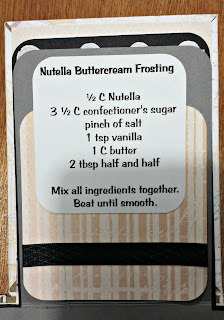 I decided to use this kit to make a Nutella Recipe Explosion box! 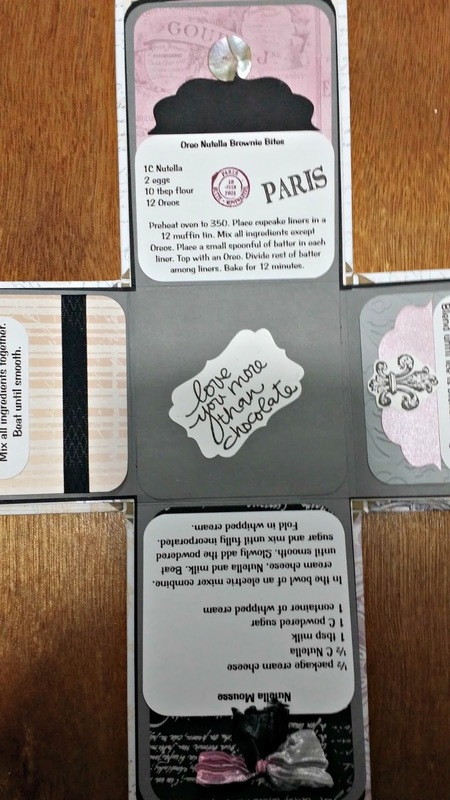 Chocolate is very "Paris" even though Nutella was created in Italy (I looked that up). 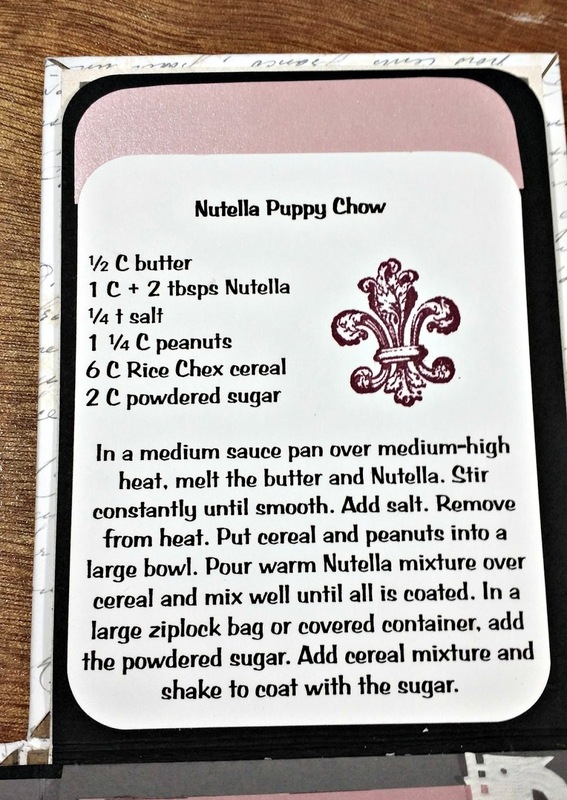 I found recipes on Pinterest and printed them up on my computer in sizes to fit the pages. 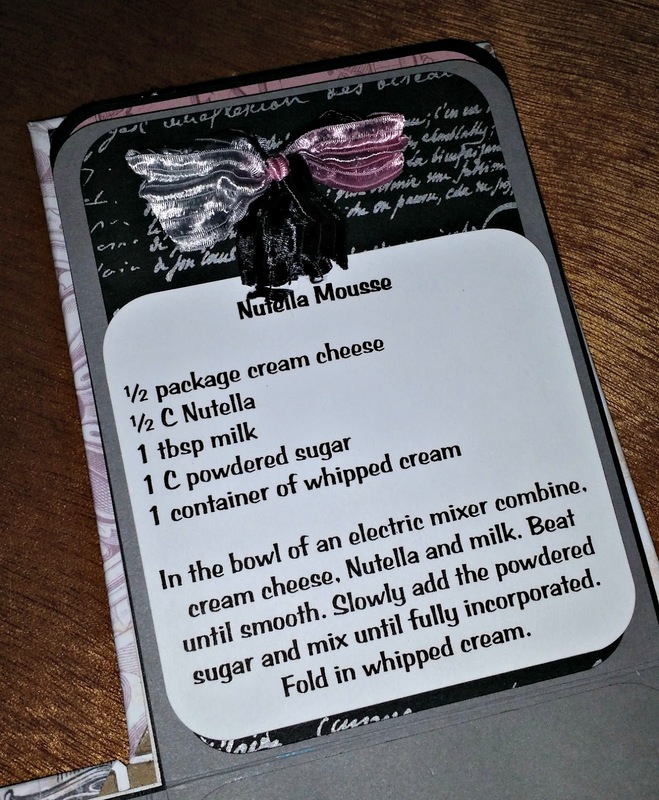 I put recipes on the front sides of the pages and just decorated the back sides. So there are 12 recipes total. 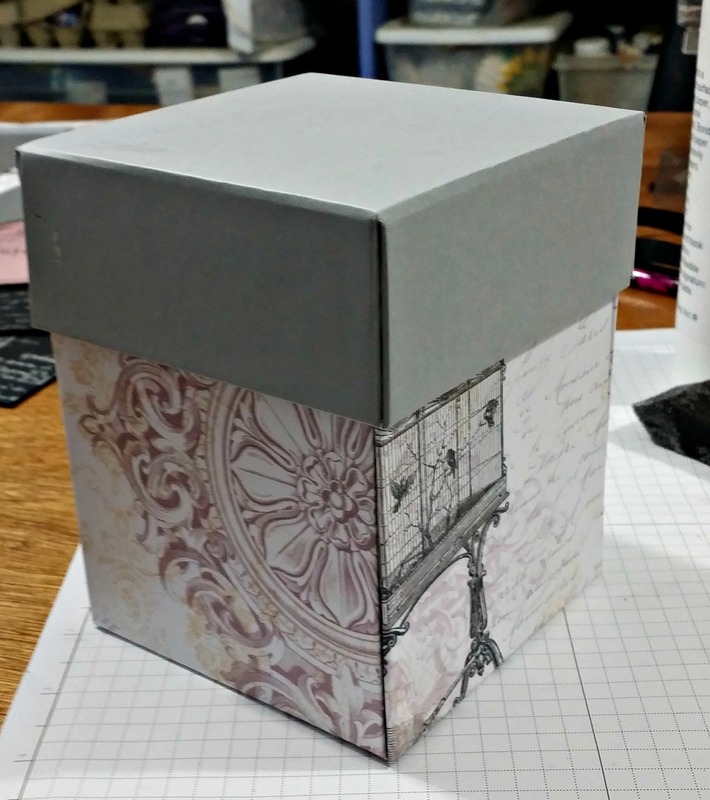 The box has 3 layers of pages. 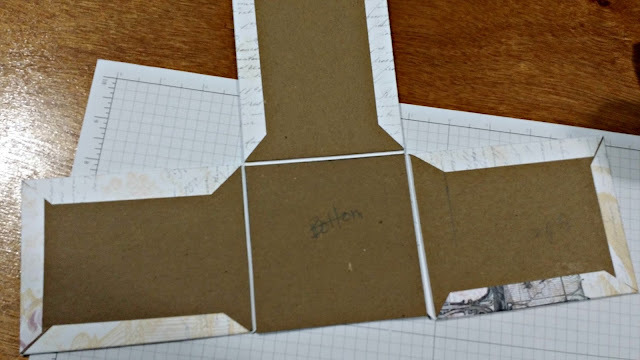 Start by cutting the chipboard for the box part. 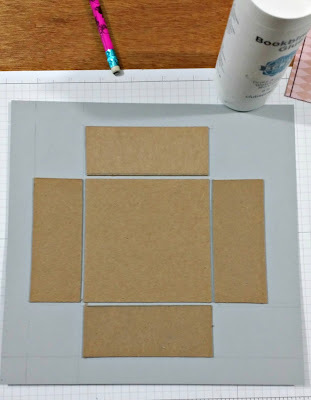 You will need 4 pieces 3 3/4" x 4 3/4" for the sides and 1 piece chipboard 3 3/4" x 3 3/4" for the bottom. 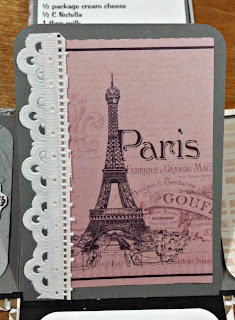 Cut 4 pieces of cardstock 6" x 6" to cover the chipboard. Start by putting glue on the chipboard. 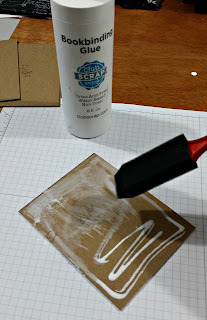 I use a foam brush to spread it evenly. Then place the chipboard on the cardstock leaving a little more space on one short side. Cut the corners off about 1/8" from the corner of the chipboard. 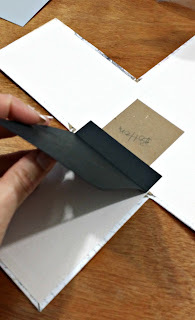 Spread glue on 3 of the sides and fold over around the chipboard. Cover all 4 pieces like this. Then attach these 4 pieces to the bottom chipboard piece-spread glue on the flap you didn't fold over. 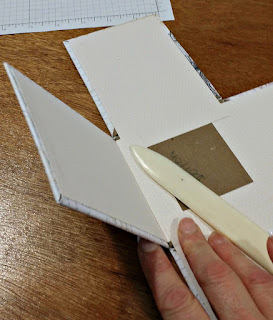 Then place the bottom piece of chipboard on the glued flap. Do the same on all 4 sides of the bottom piece. 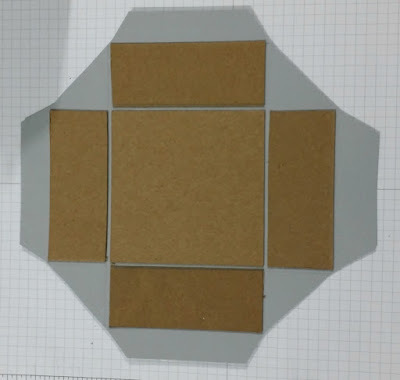 Make sure to leave about 1/8" between each piece of chipboard. 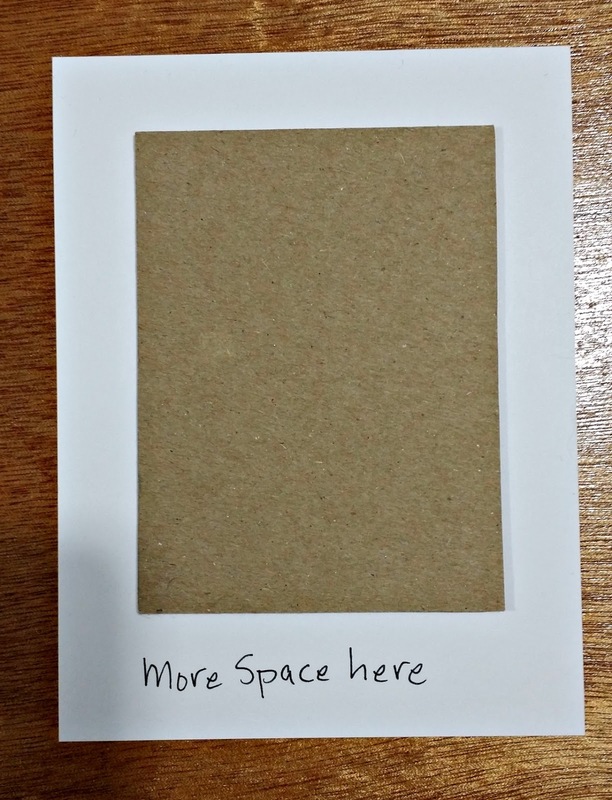 Heavier cardstock may need a little more space. If you don't leave enough space the cardstock will crack when you fold the sides up to form the box. The photo shows 3 sides done. 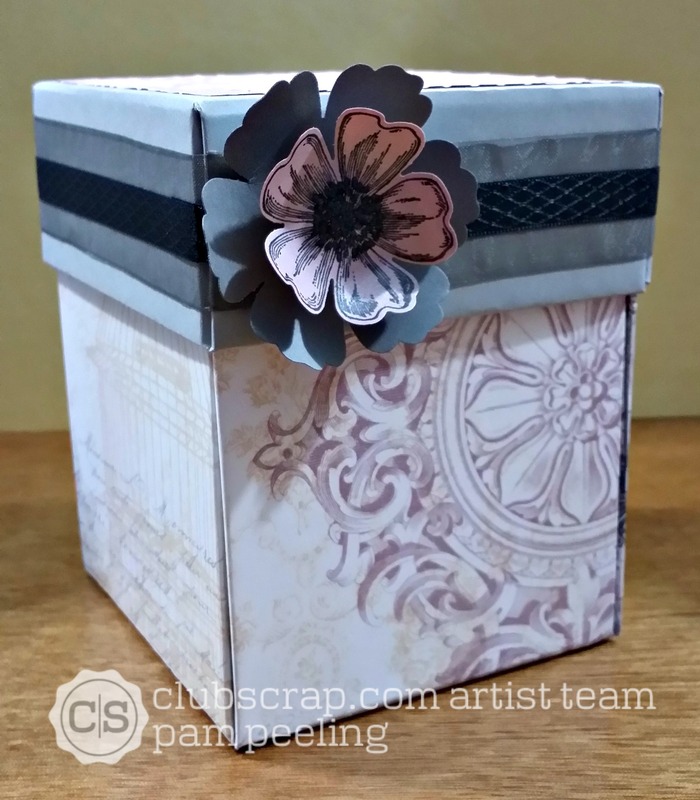 1 piece chipboard 3 7/8" x 3 7/8" (box top). Cut 1 piece of cardstock 8 1/2" x 8 1/2". 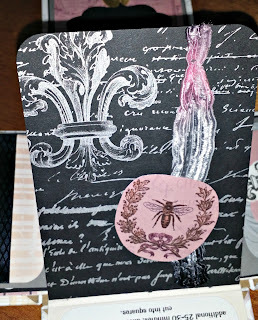 Spread glue on all 5 pieces of chipboard and place on the cardstock like the photo. Make sure to leave about 1/8" between all the pieces. 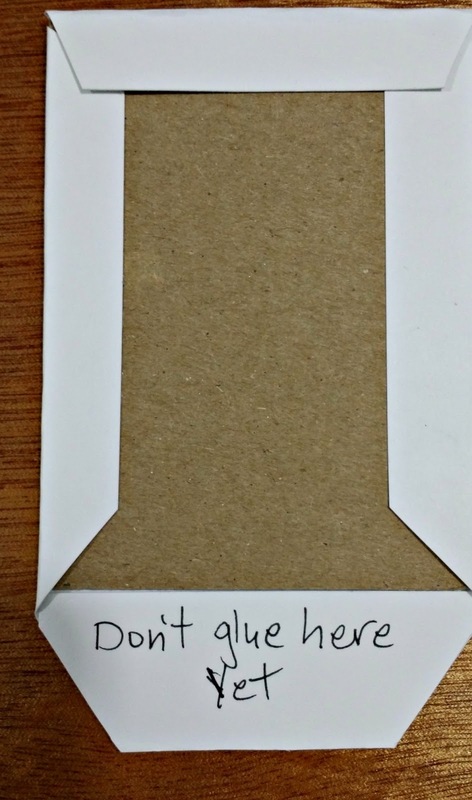 Cut the corners off just like you did for the sides. Where the 4 triangular pieces are-snip from the outside edge to the corner of the center piece of cardstock creating 2 smaller triangles. 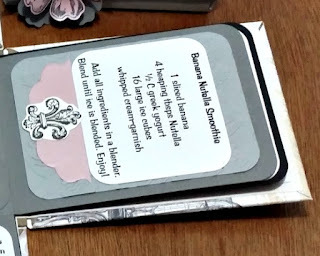 Spread glue on the cardstock on one long side and one of the little triangles on each side. 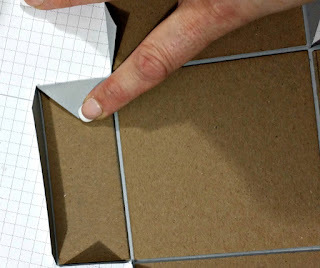 Leave one of the triangles unglued on each side. Then fold them over and adhere to the chipboard. It should look like this. 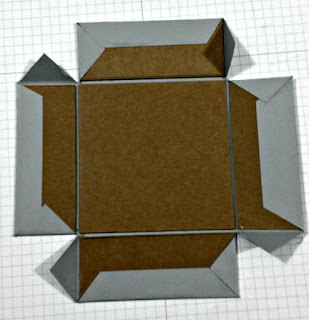 Then you are going to fold up all the side pieces to form the box top. 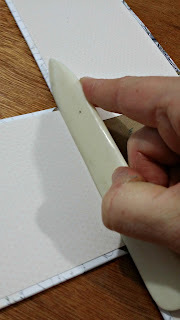 Put glue on the outside of the unglued triangle and glue to the inside of the adjoining side. After you glue all the corners you'll have your completed box top. 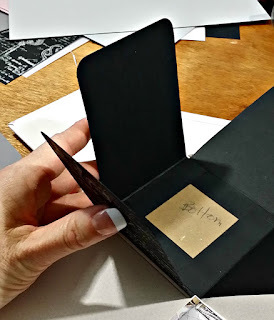 Fold up the sides and the top fits nicely :) Cut a piece of cardstock 3 3/4" x 3 3/4" to cover the bottom on the outside and adhere. Now you'll need to work on the inside. Cut 4 pieces of cardstock 3 1/2" x 5 1/2". Spread glue on the back and adhere to the 4 chipboard sides of the box on the inside. It doesn't matter how they overlap a bit in the center-you'll be covering that later. With your bone folder make a crease where the chipboard pieces attach and very carefully fold up the side. Go slow and not too much pressure! This is what happens if you go too fast or when the paper is very thick. Club Scrap paper is very nice and thick but as you can see it cracked on me. Make sure to put at least 1/8" space between the chipboard pieces and then this won't happen. I put some book binding glue in the crack and held it together a little and it fixed it. You can hardy see it. If that hadn't worked I would have improvised and added some decorative item to cover it up. As artists we're nothing if not good improvisers :) We are Improvartists hehe...just coined a new term! 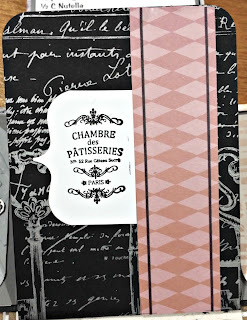 For the next set of pages cut another 4 pieces of cardstock 3 1/2" x 5 1/2". Score all these at 7/8" on the short side and fold on the score line. 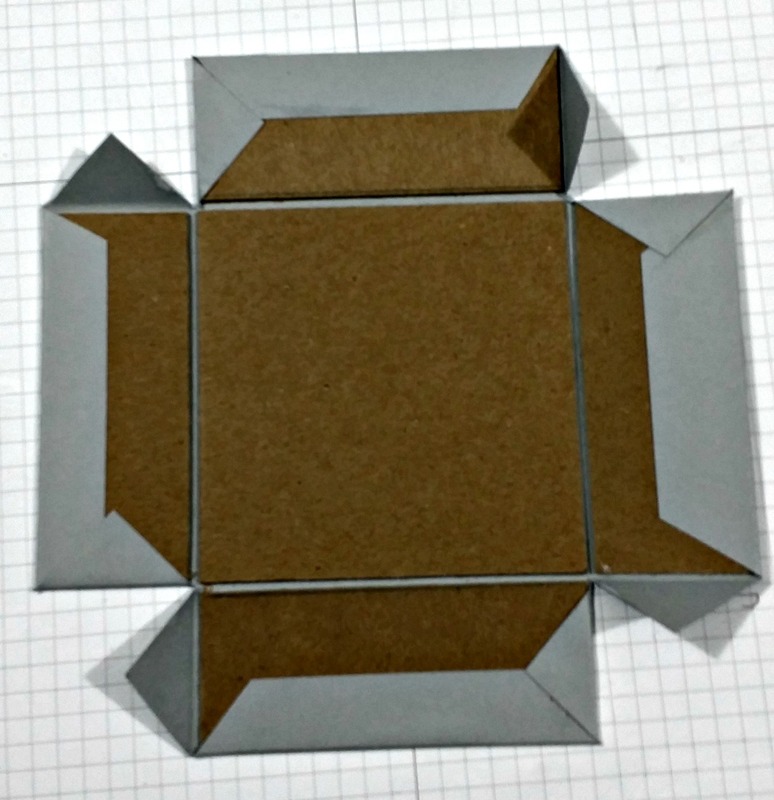 Adhere the pieces to the bottom of the box-as shown above-just past the fold mark where the sides fold up. I line up the page so you can see the page underneath just a little bit on the top edge. Make sure you place the piece so that the fold of the page doesn't interfere with the fold of the side or it will not fold up properly. 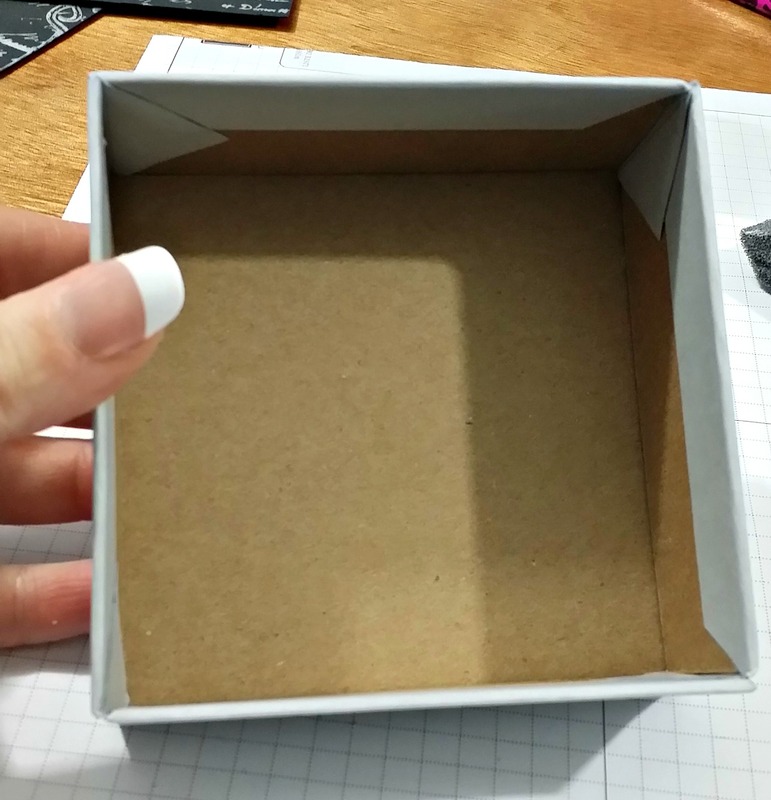 Attach all 4 like this so they easily fold up inside the box when you fold up the sides. 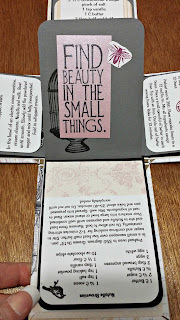 I like to round the corners of the pages-I just like the way it looks. 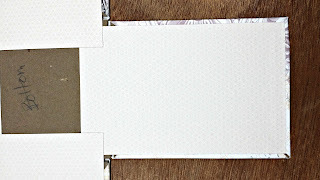 For the next set of pages cut 4 pieces of cardstock 3 3/8" x 5 1/2" and score at 1" on the short side and fold. Adhere the same way you did the 1st pages making sure to move them toward the center so you can see the bottom page underneath. 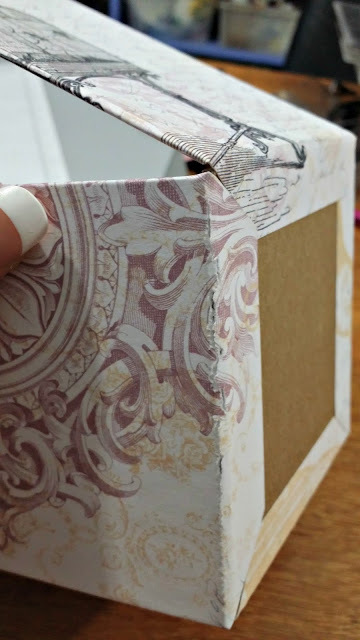 And again be careful to put the fold line of the top page slightly more toward the inside so it doesn't interfere with the folding up of the sides. 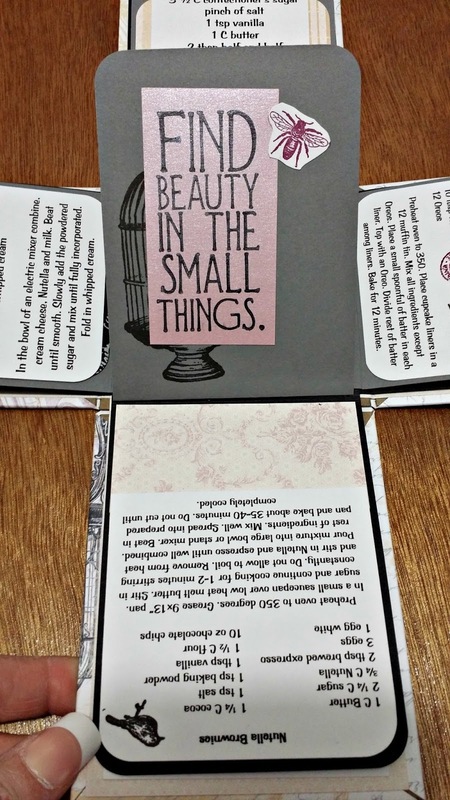 See here how the pages are offset a bit so you can see a little of the underneath pages. 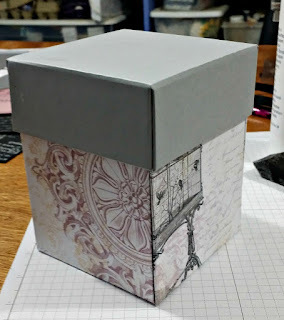 Cut a piece of cardstock 3 3/8' x 3 3/8" to cover the bottom on the inside. 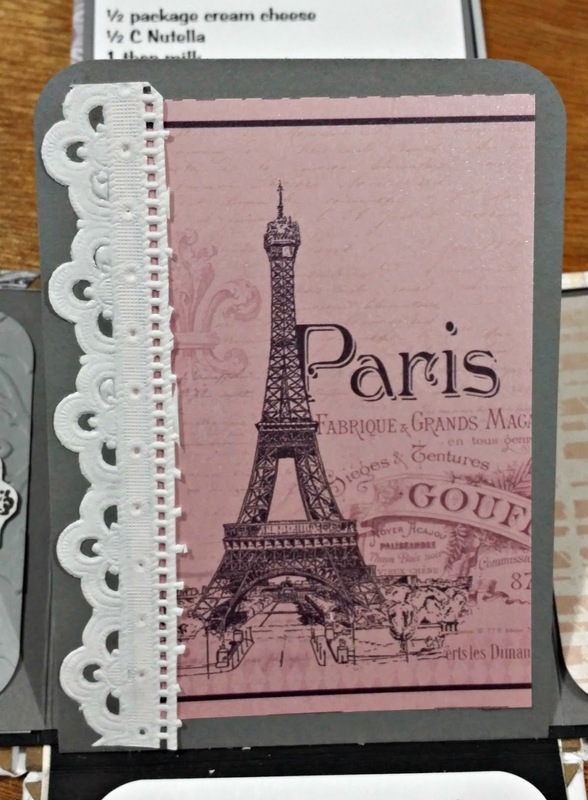 Sometimes I put a little message or stamped image. I hope you were inspired today to try one of your own! The next stop on your blog hop journey is Tricia! Enjoy! 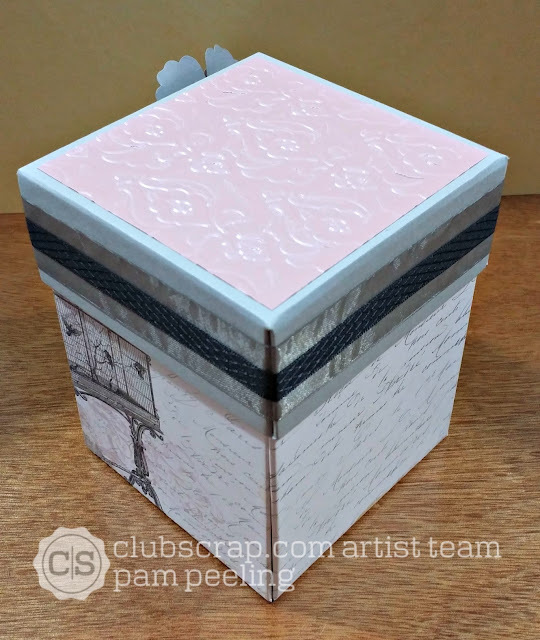 This is such a fun and delicious box, Pam.What a great gift! Each page with recipe is a beauty. Thanks for sharing all your instructions. Happy Hopping! Oh my word, this is so much fun! 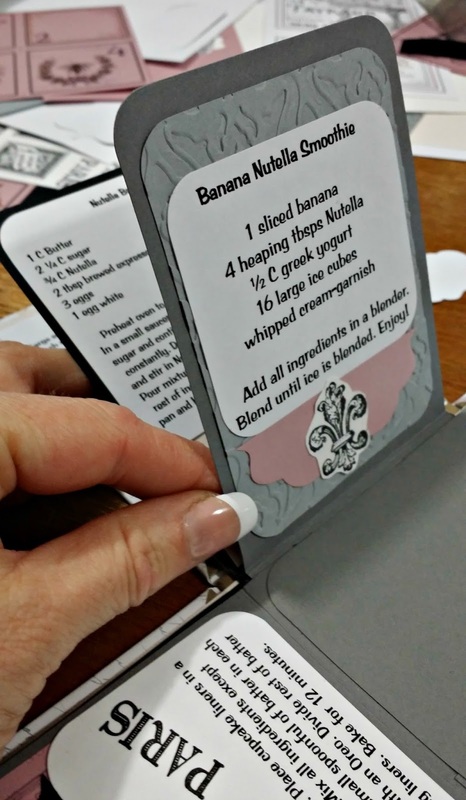 What a unique recipe holder, FANTASTIC idea Pam!! What a treasure to keep or as a gift! Cute idea to include the Nutella. Tremendous idea which I will be using and great instructions. 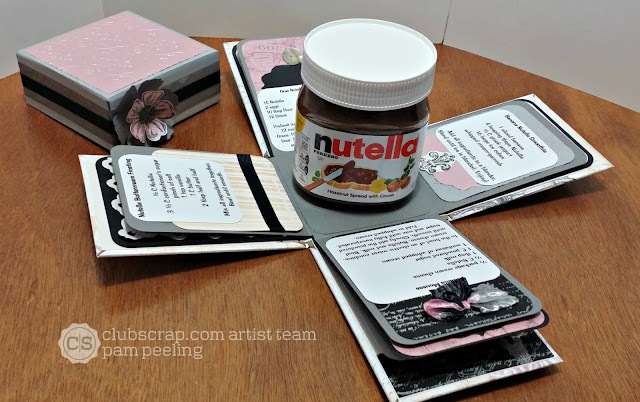 Fun project and I never would have thought to make a Nutella recipe holder. OMG - this is way too fun! I love nutella - thanks for showing some of the recipes and how you made the box. Have a great day! 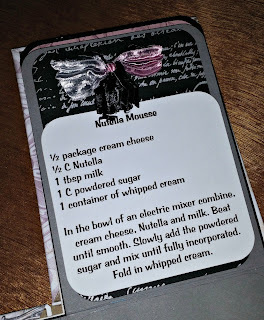 Neutella is an all time favorite of mine! love the box too. What a fantastic idea! I've seen explosion boxes before, but never as a "gift box". I love this for a hostess gift . . . oh so many ideas floating around. Thanks for the tutorial, too! This is AWESOME! 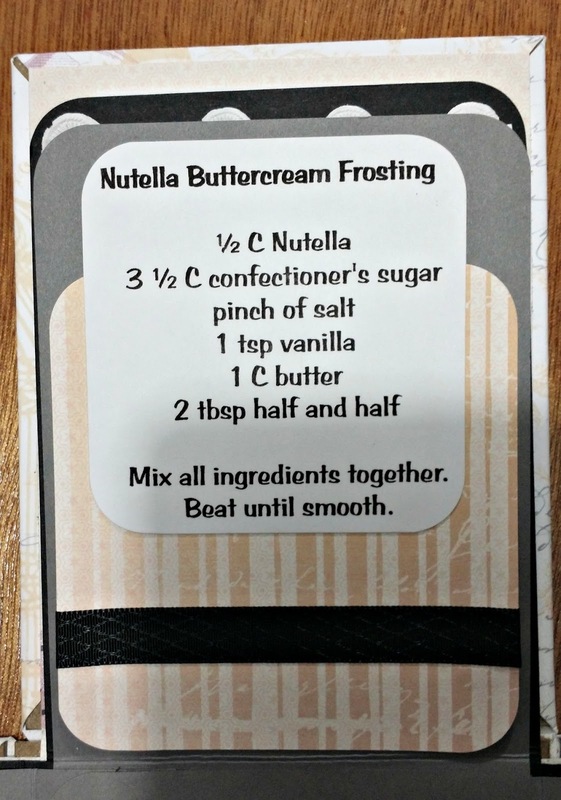 Most of my friends are nutella fanatics and this will be perfect for a little gift. Great detailed instructions. What a fun project. Love the recipe ideas. This would make a great shower gift. This box is a great idea. 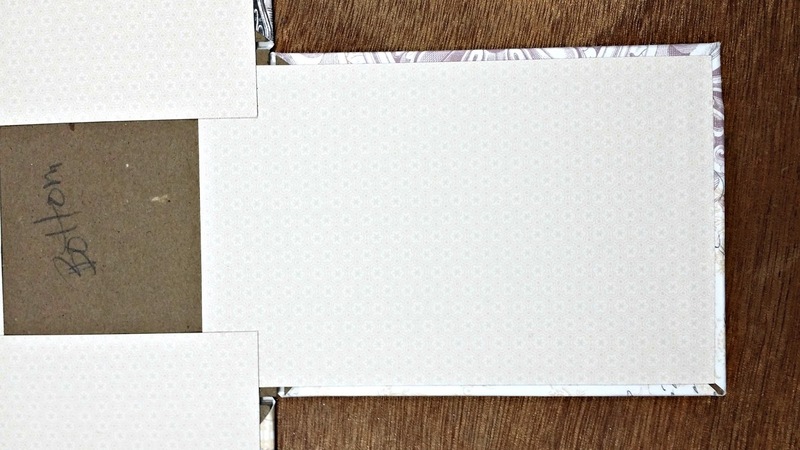 Thanks for the hints and tricks about wrapping the boards - your comments were cute! We are all indeed "Improvartists" !! Beautiful! I really like that it's a stronger box with being wrapped matte board, that's a task you had good patience for! Such a great idea!!! So awesome! I just love this idea. 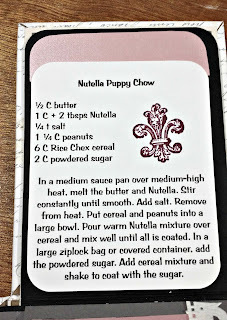 Makes me want to go get some Nutella! What a great way to keep recipes. Super cool explosion box. Super box containing the explosion card! One of the sturdiest projects that I've seen. This is so cute! 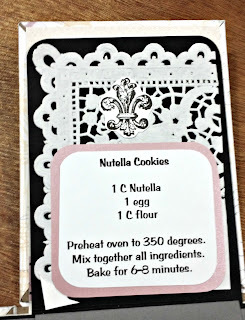 I love the recipe idea!